The Alaska Air National Guard is sending airplanes, equipment and search-and-rescue personnel to the East Coast, staging assets ahead of Hurricane Florence, which is expected to make landfall sometime Friday. The National Weather Service is calling Florence "the storm of a lifetime," according to the Washington Post. 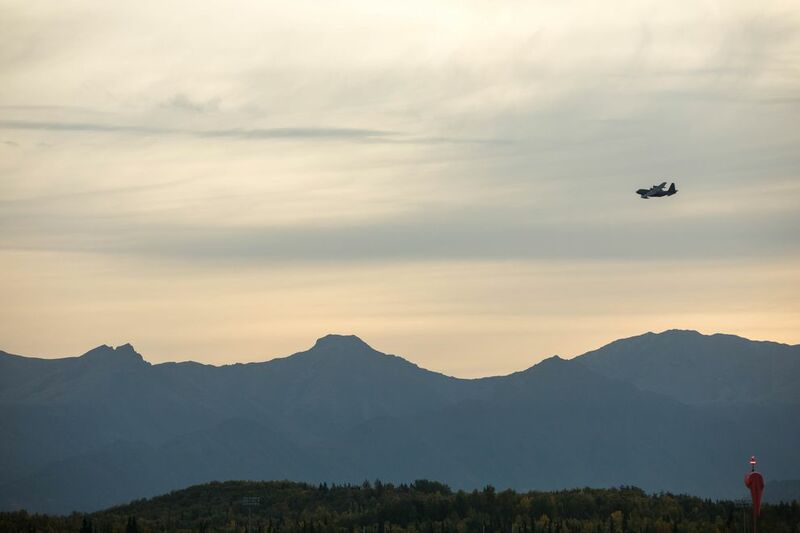 The Alaska National Guard got their orders Tuesday night, and a little more than 12 hours later two planes full of equipment and personnel took off from Joint Base Elmendorf-Richardson. 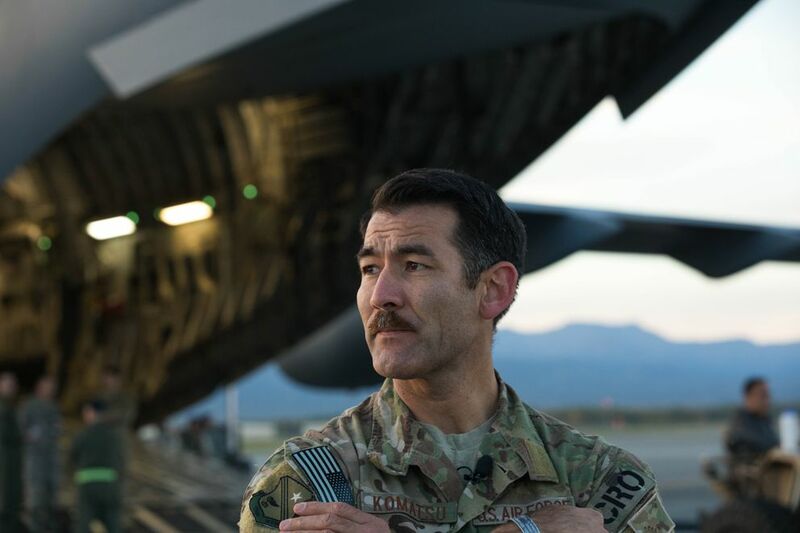 The team is heading to Dover Air Force Base, a "forward operating base" that is believed to be out of the path of the storm, according to Lt. Col. Matthew Komatsu, a combat rescue officer who will lead Alaska's team of pararescuemen, referred to in the Air Force as Guardian Angels. The guardsmen will regroup with teams from other states and come in behind the storm, bringing supplies to communities in distress and conducting search and rescue operations. "We take care of whatever the state and federal authorities require," said Komatsu. "This organization has very unique set of capabilities," said Brig. Gen. Darrin Slaten, the 176th Wing commander, who was on the flight line early Wednesday morning as the two planes, a C-17 and a HC-130, were being loaded. "With our strategic airlift capability we can get down there just about as fast as folks can from the middle of the United States," he said. 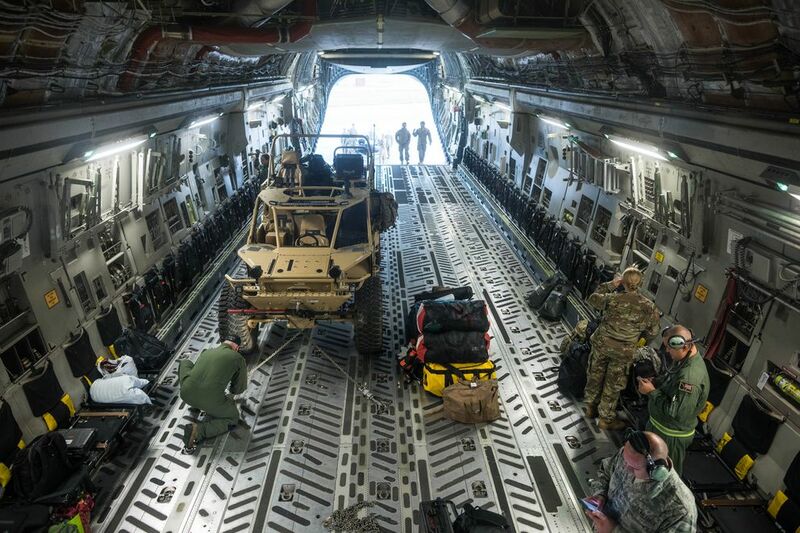 "The rescue capabilities only reside in the Air National Guard in three states: Alaska, California and New York, and all three states are sending folks to this event." 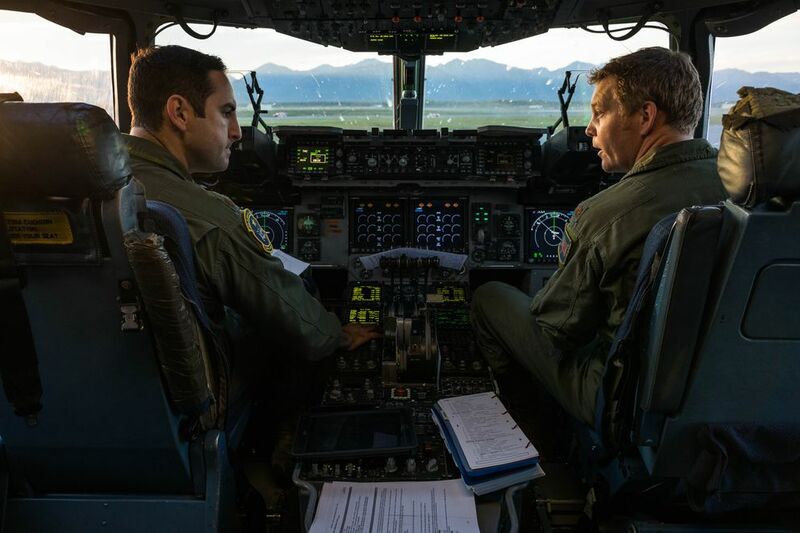 Andre Silva, one of the C-17 pilots flying to Dover, grew up in south Florida and remembers Hurricane Andrew, the devastating 1992 storm that at the time was the most destructive hurricane to ever hit the United States. "I remember all the Guard assets coming in and giving us water, helicopter support, things like that," he said. "It made a big impact on me as a child. So anything I can do to help, we're willing to do it. I can speak for all of the other folks that are going to be on my crew, they all feel the same way." This isn't the first time that the Alaska National Guard has been called to help out during a natural disaster. In 2017 they were called to respond after hurricanes Harvey and Irma in Texas and went to Puerto Rico to help rebuild after Hurricane Maria. "We are here to support the state and federal governments when emergencies arise," said Komatsu. "This is what we've been doing for 200 years essentially. Civil disasters, wars, you name it, the National Guard is always ready to serve the nation." "We don't care if it's 4,000 miles away or if it's 4 miles away on Flattop, we are here to help people wherever they are at," he said.